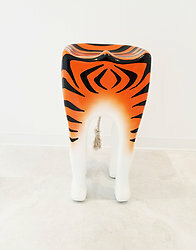 Create a rainforest or jungle theme for your bar or home cafe with this beautiful and very exotic tiger stool. 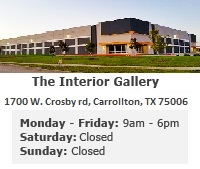 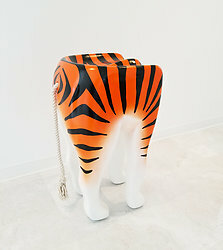 It is sure to add excitement and fun into your decor space whether it is a cafe, restaurant, kitchen, or child's playroom. 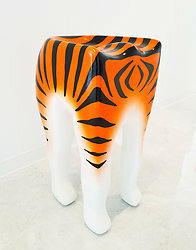 This tiger bar stool is handcrafted from polyresin and reinforced with fiberglass to give it industrial grade quality. 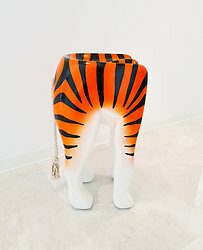 Dimensions: L16.93" x W16.93" x H33.07"